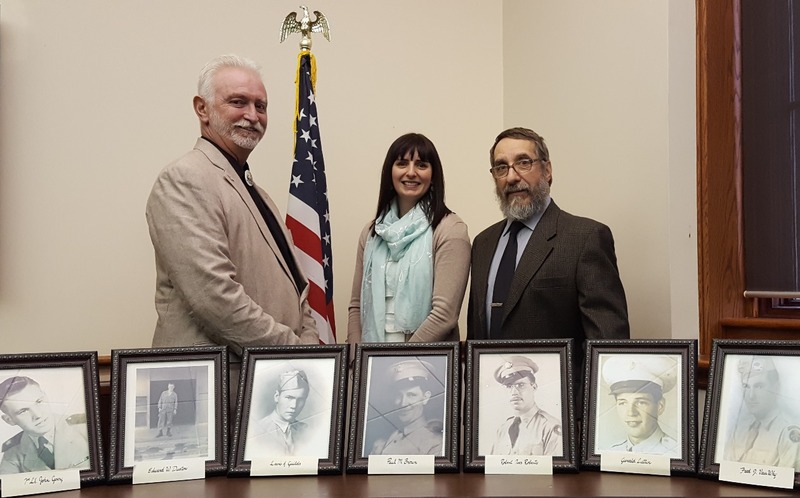 A memorial display depicting the eight Potter County men who lost their lives in the Korean War has been donated to the Potter County Historical Society for display at its museum in Coudersport. Bill Simpson (left) and Dawn Wooster from the county’s Veterans Service Committee presented the items to PCHS president David Castano. Among the donations are photographs depicting the eight local war casualties (from left): John Goery, Edward W. Duston, Lewis A. Guilds, Paul M. Brown, Robert I. Roberts, Gerald Lattin, Fred J. VanWhy, and Donald Johnson (not shown). Also in the display are several artifacts collected by the committee for Potter County’s Korean War Veterans Recognition Dinner and Memorial Service at American Legion Post 192. County officials worked with the U.S. Defense Department and other partners to hold the event in recognition of the Korean peace treaty’s 60th anniversary. It was used as a model for other counties across the nation holding similar Korean War veterans’ recognition events. 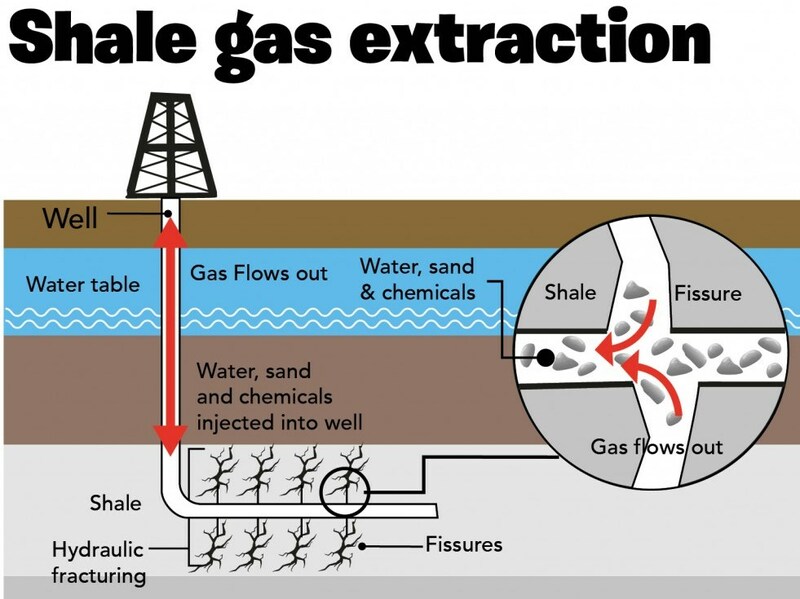 Latest edition of Shale Gas Roundup is now available. It’s the newsletter of the Potter County Natural Resource Center and features timely, locally relevant news about shale gas development and related topics. To access the latest edition as well as all past editions, visit the website pottercountypa.net (Shale Gas Roundup newsletter icon is found on the cover page). Copies are also available at the Commissioners Office in the Gunzburger Building (first office on right inside Main Street entrance), or by contacting Dawn Wooster at 814-274-8290, extension 207. Among attendees at a water protection meeting in the Rachel Carson State Office Building were (from left): Dr. Jennifer Whisner, Bloomsburg University; John Stefanko, DEP Deputy Secretary; Brian Heiser, State College Water Authority; Paul Heimel, Potter County Commissioner; and DEP representatives Marcus Kohl and Mark Stephens, from the Williamsport Regional Office. 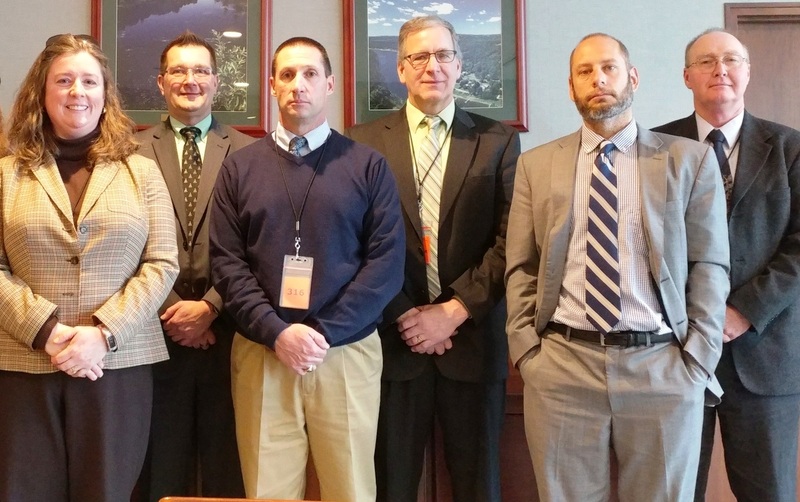 Protection of public water supplies was the mission of a regional delegation that traveled to Harrisburg this week to make their case before the Pa. Dept. of Environmental Protection. DEP Deputy Secretary John Stefanko hosted the meeting with a delegation that included Potter County Commissioner Paul Heimel, representing the Triple Divide Watershed Coalition; Carl Cox, chairman of the Tioga County Sourcewater Protection Coalition; Dr. Jennifer Whisner, professor at Bloomsburg University; Brian Heiser, representing the State College Water Authority; and Eric Moore, chairman of the Northcentral Pa. Sourcewater Protection Alliance. Stefanko pledged to share the messages with DEP Secretary Patrick McDonnell and other decision-makers in the agency. The group called on DEP to support studies to identify the sources, contents/quality, and movement of groundwater. With gas and oil industry leaders forecasting a frenzy of shale gas-drilling in future years, these studies would establish baseline data and pinpoint areas of special concern. U.S. Geological Survey is providing funding and technical assistance for the studies, one of which is scheduled to get underway in Potter County next year. Dozens of water wells across the county will be evaluated to create the database. On a related note, the local representatives urged DEP to take into account the proximity of public drinking water sources when reviewing permit applications for drilling and other and disturbances. Many public water suppliers, including all 11 in Potter County, have approved sourcewater protection plans that would provide the relevant information to DEP permitting personnel. Other issues aired included the importance of public education provided by the Water Resources Education Network (WREN), and the bureaucratic challenges that local governments are facing due to conflicting regulations of DEP and the Susquehanna River Basin Commission. Shinglehouse Borough is the winner in a competitive process to land more than $175,000 in federal funds that the Potter County Commissioners award annually to public works projects. A proposal to allot the Community Development Block Grant (CDBG) revenue to support a major wastewater treatment plant upgrade in Shinglehouse was ratified this week by the commissioners after a final public hearing. Several other requests were received from across the county. Among them were wastewater treatment projects in Galeton and Roulette, water line replacement on Seventh Street in Coudersport, and handicapped accessibility accommodations at the Coudersport Borough swimming pool. None of those qualified for final consideration, based on CDBG regulations, but each of them remains in the queue for funding in 2017 or beyond. Potter County Redevelopment Authority staff and the regional SEDA-Council of Governments are assisting the commissioners in administering the CDBG program. SEDA-COG’s Bill Seigel (left) attended this week’s meeting to conduct the final public hearing and verify for the commissioners that all of the administrative requirements had been met. Also attending were Shinglehouse Borough Council president Barry Church (right) and Redevelopment Authority member Phil Vaughn (center). Shinglehouse has committed about $225,000 to match the county’s allotment. 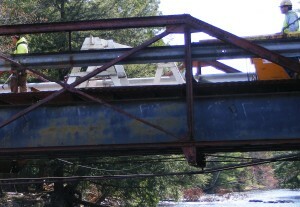 The borough is also seeking a separate federal grant to help cover construction, engineering and associated costs. A recent survey found that 69 percent of Shinglehouse residents fall within the government’s definition of low- or moderate-income, a figure that meets one of the many criteria to qualify for federal funds. A similar scenario unfolded when the commissioners allotted the 2015 CDBG funds. Genesee Township committed to provide local funding and was awarded a separate federal grant to make possible major water system upgrades that are now underway. Potter County recently received a $24,122 check from the state government, covering another overdue installment of the state’s share of District Attorney’s Andy Watson’s salary. The state still owes Potter County some $114,122 for the DA’s salary in 2016. 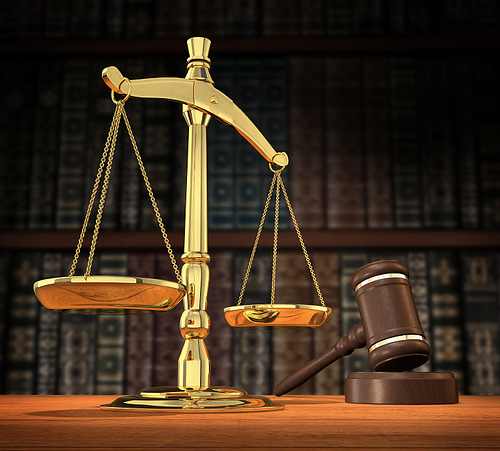 Act 57 of 2005 obligates the state to pay the 65 percent of a full-time DA’s $175,572 salary. When those payments lag, the county covers the entire cost, a situation that does not sit well with the Potter County Board of Commissioners. 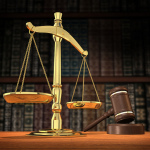 Other counties with full-time district attorneys face a similar shortfall. According to a spokesman for the Office of Attorney General, the Criminal Justice Enhancement Account does not have enough funds to reimburse the full amount. As the funds continue to accumulate in the account, the state will make a partial payment for 2015. 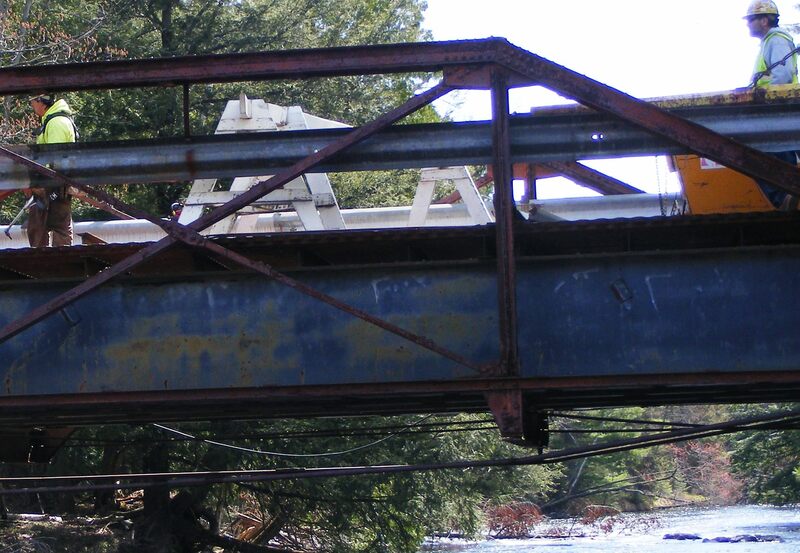 A work group comprised of the Potter County Commissioners, representatives of the Potter County Association of Township Officials and Potter County Planning Department convened to review applications for funding to support bridge repairs. As a result of the meeting, the team proposed awarding $40,000 grant for the Atkins East Bridge rehabilitation in Roulette Township, and $20,000 for the Erickson Road Bridge rehabilitation project in Ulysses Township. Each year, the commissioners invite townships and boroughs to apply for a share of the Pa. Act 13 Bridge Improvement Restricted Use Fund received by Potter County through a state fee on shale gas wells. Under Act 13, county commissioners have the authority to distribute the funds as they see fit, as long as they address at-risk bridges. Commissioners Doug Morley, Susan Kefover and Paul Heimel instead developed a system whereby the money is expended according to an evaluation/ranking framework to address the most critical needs, as reported by township supervisors and borough councils. Some other counties have adopted the Potter County system as a model. Under Act 13, Potter County receives $40,000 annually in the Restricted Use Fund.